SEA DotA is on a roller coaster after a shocking announcement came in last evening from the Fnatic HQ. The Swedish organization brought in the DotA fame, Universe into their SEA squad, on the cost of Ohaiyo. The development comes in after Fnatic DotA 2 qualified for ESL One Katowice Major. The speculations were floating in the community of a potential swap where Saahil “Universe” Arora would replace Ohaiyo as their offlaner. DOTA | Today we welcome @UniverseDota as our new Offlaner! 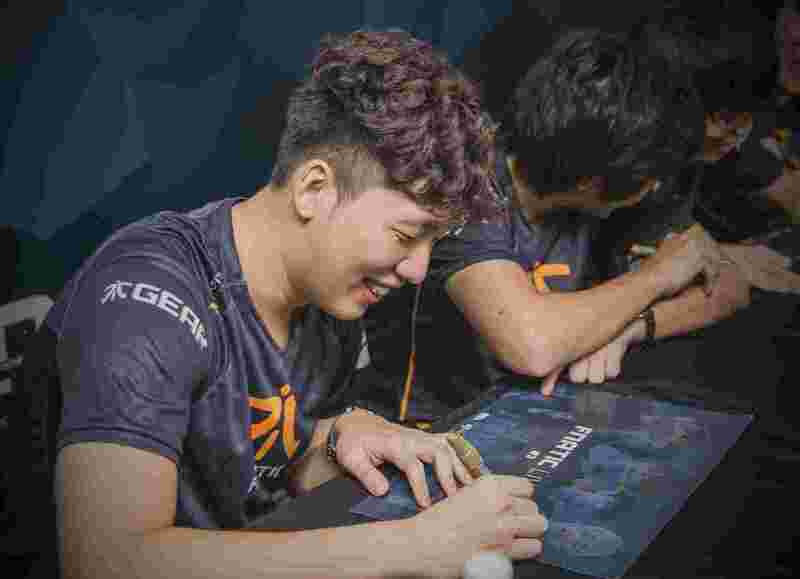 Some of the community influencers congratulated the team, while others labeled the move as “disgusted.” Following a qualification to Major, no team would kick their player, “no morals, rip fnatic” were among the complements the SEA giant were greeted. Universe, a month ago had quit Evil Genius, a team he was associated with for more than four years. Even though Ohaiyo had greeted well in the official Fnatic announcement, his version of statement coming straight from his official Facebook account looks critical. After thinking for these few days, I would like to talk about my feeling about how I got replaced by Universe. It is so sad and cruel, after winning TNC and qualified to ESL One Katowice Major Main Event. We had a pizza dinner to celebrate but after we finished, I was informed by Adam Shah ( Fnatic coach ) and Eric Khor ( Fnatic Manager ) that I’ve been replaced by Universe and they told me that Universe arrived Malaysia just the day before Fnatic vs TnC Grand final EslOne Katowice which was last Thursday. Universe stayed in EE sama rental house after he arrived Malaysia. (EE sama stays in another personal house due to his personal living.) This is how cruel they are, no matter the tournament win or lose, I will be replaced. Im not upset about being replaced , Im disappointed on being used by my teammates for their own benefit. They could just replace me once Universe is here, but not after we got the slot to Esl One Katowice. Perhaps they worry about losing the slot to a major event, so they choose not to change Universe on that day. I sense that everyone know Major is very important to each team and player. As I know, some players got informed just two three days ago before I got the news on last Friday night. Actually they should not be qualified for this major event by using those gimmick. Im writing this because I’m too disappointed on the decision maker and accomplice that use someone effort just for their own benefit. A lie with a purpose is one of the worst kinds, and the most profitable. It is extremely difficult to determine how Fnatic has played their card. The team in their statement also mentioned that they were “sad” in bidding farewell to one of their “founding members” Ohaiyo. On the other hand, they were quick to sideline him just after qualifying for the major.